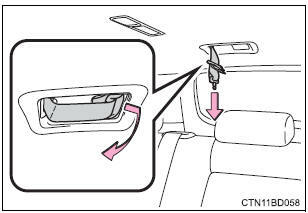 Take the plate out of the holder, and then pull down the seat belt. 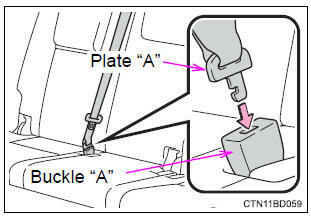 Push plate �a� into buckle �a� until a click sound is heard. 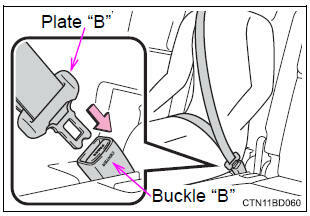 Push plate �b� into buckle �b� until a click sound is heard.